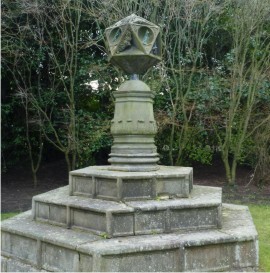 Historic sundial at Palace of Holyrood commissioned by King Charles I for his Scottish coronation in 1633. 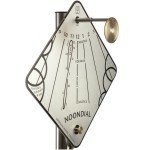 It is always interesting to see how people will react to a sundials talk. 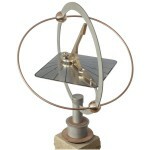 I usually say they are in the majority if they know nothing at all about this fascinating yet unfamiliar subject. 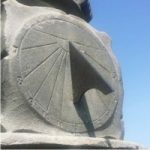 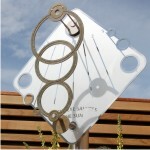 In the 21st century sundials have largely been forgotten, but I try to explain how sundials were once an essential part of the science of timekeeping. 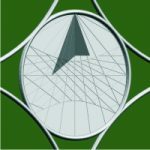 Their designs spanned an extraordinary range from purely functional to wildly exuberant sculpture monuments. 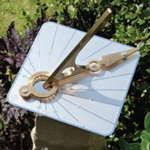 Today those old traditions of imaginative design are still alive, providing new generations with pleasure and enjoyment from timeless and beautiful sundials. 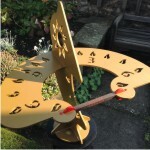 You can see the slides for my talk here, PROBUS EDINBURGH TALK ON SUNDIALS – Copyright Macmillan Hunter 2017. 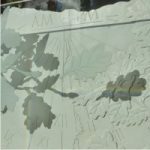 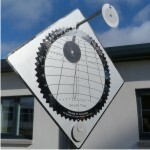 This entry was posted in History, News, Sculpture, Sundial stories, Sundials, Time on February 28, 2017 by Alastair Hunter.